Common Toad - "Bufo Bufo". A young Toad near St Justinian's . 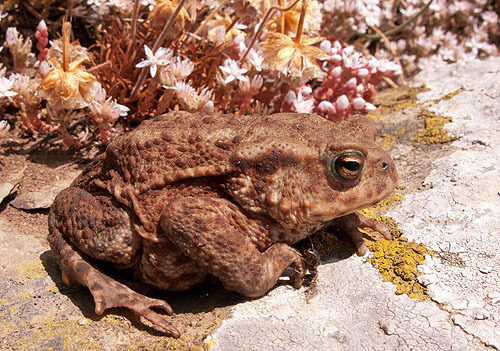 The toad has greyish brown skin covered with wart-like lumps. It becomes active at dusk and spends the night hunting for invertebrates .